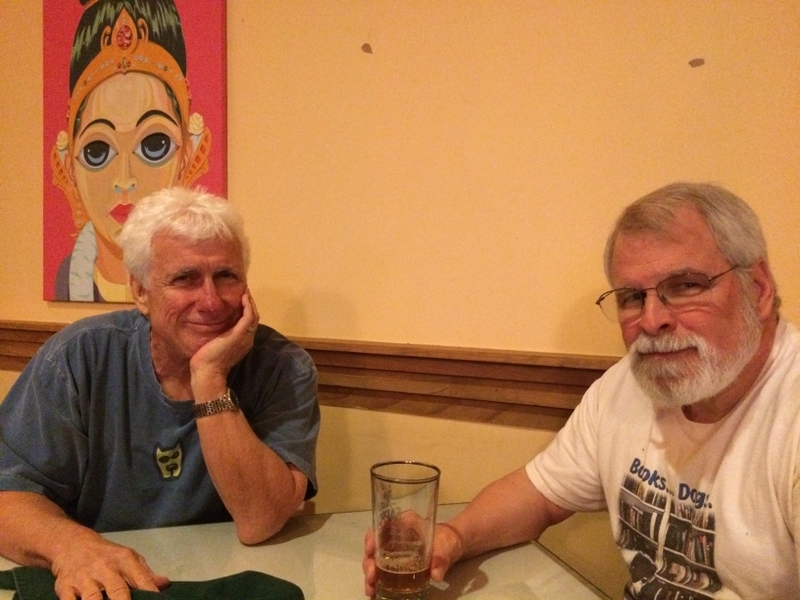 Here’s a pic of my brother Chuck and me, shot by Chuck’s wife Youngmee. I’m on a brief stopover in Miami, en route to Puerto Rico. Chuck looks well, despite having started a second round of chemo, which we are hoping and praying will keep him going for a good long time to come. Echoing hopes and prayers would be welcome. 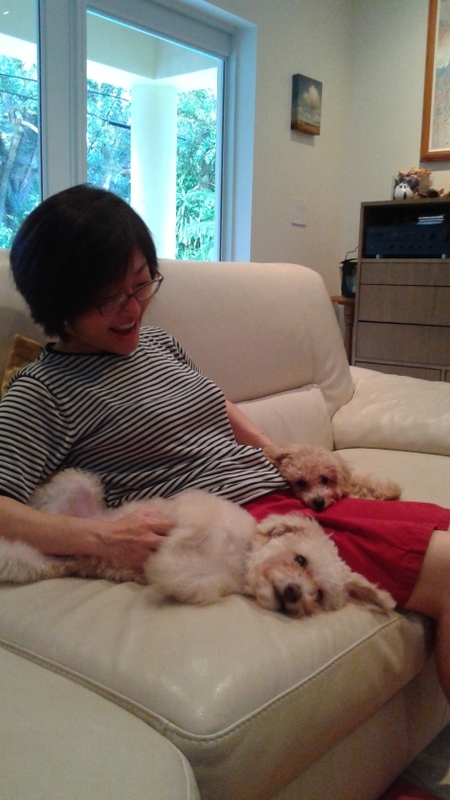 And here is Youngmee, with the two adorable and extraordinarily energetic new puppies Jahng and Tntn. Yes, by the way, another round of Ponce Chronicles is coming up, as we strive to complete the renovation and update work on Allysen’s family’s house. That is, we’ll be doing another round of work. I probably won’t write too much about it, as I’ll be trying to focus what writing time I have on the book rewrite, which is coming along pretty well.